Univ Of Minnesota Press, 9781517901691, 160pp. “Don’t bore us, get to the chorus” is Bill Sullivan’s motto, which will come as no surprise to anyone who opens Lemon Jail. A raucous tour diary of rock ’n’ roll in the 1980s, Sullivan’s book puts us in the van with the Replacements in the early years. Barreling down the highway to the next show through quiet nights and hightailing it out of scandalized college towns, Sullivan—the young and reckless roadie—is in the middle of the joy and chaos, trying to get the band on stage and the crowd off it and knowing when to jump in and cover Alice Cooper. Lemon Jail shows what it’s like to keep the band on the road and the wheels on the van—and when to just close your eyes and hit the gas. 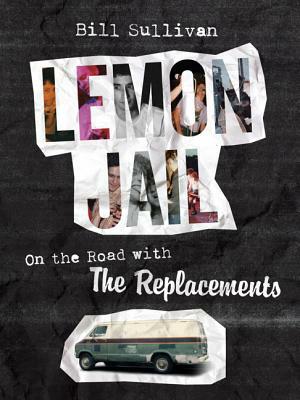 That first van, dubbed the Lemon Jail by Bill, takes the now legendary Replacements from a south Minneapolis basement to dive bars and iconic rock clubs to college parties and eventually an international stage. It’s not a straight shot or a smooth ride, and there’s never a dull moment, whether Bob Stinson is setting a record for the quickest ejection from CBGB in NYC or hiding White Castle sliders around a hotel room or whether Paul Westerberg is sneaking gear out of a hostile venue or saving Bill’s life at a brothel in New Jersey. With growing fame (and new vans) come tours with REM and X (what happens when the audience isn’t allowed to stand? ), Tom Petty and the Heartbreakers and the Violent Femmes (against their will), and Saturday Night Live, where the band’s televised antics earn the edict You’ll never play on NBC again. Fast forward: You’ll never play Washington, D.C., again. Or Moorhead. Hiding in fans’ backyards while the police search the streets and pelted with canned goods at a Kent State food drive, the Replacements hit rough patches along with sweet spots, and Lemon Jail reveals the grit and glory both onstage and off, all told in the irrepressible, full-throttle style that makes Bill Sullivan an irresistible guide on this once-in-a-lifetime road trip with a band on the make. Bill Sullivan has been on tour since the early 1980s. After the Replacements and stints with the Del Fuegos and the Cherrybomz, he was tour manager for Soul Asylum, Bright Eyes, Conor Oberst’s Monsters of Folk, Yo La Tengo, Cat Power, The New Pornographers featuring Neko Case, Spoon, Syl Johnson, Teenie Hodges, and blues legend Jimmie Vaughan. He was co-owner of the 400 Bar on the West Bank of the University of Minnesota.